Like my first Hobbit edit, if you're looking for the Orcs, Radagast, the love story and the council to be removed, this isnt the edit for you. But if you're looking for a toned down version of the films, this is the edit for you. After scraping the idea of returning the original movie back to the structure Guillermo Del Toro had planned, I've carried on where I left off in the first edit with the focus very much on getting to Smaug as soon as possible and making the battle leaner. - Smaug exploding out of the mountain in gold fixed. 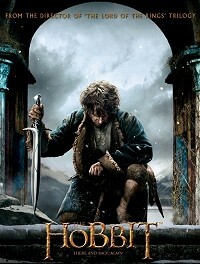 Father Merrin has picked a very strong split point for his dual feature version of the Hobbit. I found myself immediately engaged in the story and naturally felt as if this was a proper beginning to the second half of this story. Although the beginning of the film sets up the events to follow extremely well, the opening title screen and opening scene with Gandalf is much too short and immediately marks the film as an edit. The opening Laketown scenes are very well edited, quickly paced and nothing is missed. It is much stronger than the original source. The finding of the keyhole was sped up far too much in my opinion. This is one of the best Bilbo character moments in this half of the story and it feels like more time should have been devoted to this important milestone in the journey. I liked however how quickly the Dwarves arrived at the mountain from Laketown, this was a much better editing decision in my opinion. The entire set of dragon sequences is masterfully edited. So much has been removed and yet you don't notice any of the cuts. I'm one of the few people who enjoys every bit of the dwarves fighting Smaug in the mountain so removing all of this content wouldn't have been my choice, but I felt like the movie never missed a beat despite the absence. There was slight audio edit problem just after the giant tapestry falls on Bilbo where there is some clear audio deletion. Smaug's movements become silent for a few seconds at that point. The orc attack on Laketown was thankfully shortened and well edited, but Tauriel's saving of Fili seemed a bit too quick and easy for my taste. The only poorly edited sequences in the film are those of Dul Guldur which feel like they shouldn't have been included at all. Gandalf's imprisonment is presented in 2 sub 10 second segments in the first hour and then is suddenly focused on and resolved in one fell swoop in the second hour. This whole sequence should have been presented at the beginning of the movie or left out entirely. There are a few strange audio errors that appear at 1:12:35 and 1:15:14 and 1:21:20. The final battle is certainly shorter but hits almost all the same plot points. There were no noticeable edits which is truly a feat given the numerous cuts involved. It doesn't feel very epic until Thorin takes the battle to Azog but I'm not sure if much can be done to improve that. 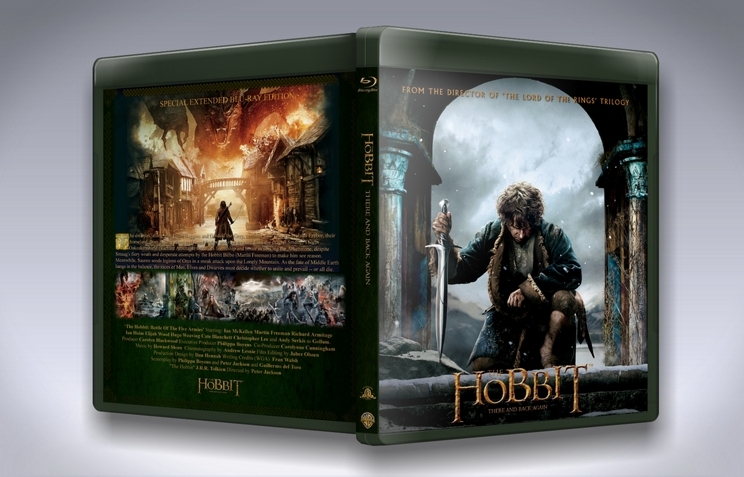 All in all this edit proves that a 2 film approach to the Hobbit is the right one. It feels like a complete film from start to finish and that is a fantastic accomplishment. I believe with a bit more work it could be one of the best edits of its type. However, the video quality definitely needs some work from the ground up. The 720p mpg file is poor quality for its size and has some clear interlacing issues. I'm not sure if this was edited from a DVD source and up converted to 720p but it sort of looks that way. I highly recommend this to anyone interested in Hobbit edits as I think it's one of the best examples of what can be accomplished in a 2 film approach.